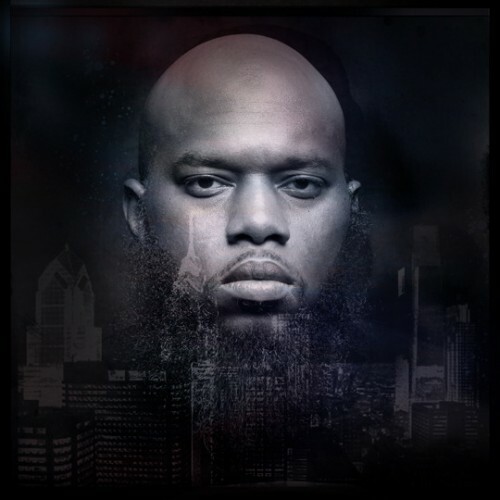 Wayne's Hip Hop Blog : A brief review of Freeway's "Diamond in the Ruff"
A brief review of Freeway's "Diamond in the Ruff"
Freeway has been quite the active artist on the independent scene within recent times, putting out a few mixtapes and doing some guest appearances along the way. He certainly has kept things moving after his run with Roc-A-Fella Records. "Diamond in the Ruff" is Freeway's fourth studio album, which will be released tomorrow, 11/27/12, with his last being the collaboration effort with producer Jake One in 2010, titled "The Stimulus Package" (and that album is due for a revisit too). His discography is pretty solid, so let's see how album number four holds up. One things for certain, Free has a passionate/hungry delivery along with tight lyrics, and when it comes to the first half of this album, you get that and then some. Marsha Ambrosius provides the hook on the very good opener "Right Here". Same ol Free here and he makes no secret about that on this one. Next up we get two straight bangers, in the form of the Jake One produced "The Thrist", as Free shows that his hunger on the mic is still present, as well as the chemistry he has with Jake One, and the nicely titled "Greatness", featuring a welcomed presence on the hook by Vivian Green, shows that continued hunger. "No Doubt" is great, especially the third verse in which Free goes back and effort (to great results) between the double time flow and slowing it back down again. That may be the first time I've ever heard him do the double time flow, even if it's briefly. The talented Musiq Soulchild blesses the apply titled "Dream Big", and respectively, even with Free's touch here, once you've heard a song like this, you've heard them all. And you know you would get a Just Blaze banger on this album, on the obvious "Early", and at some point, considering how much we have heard Free use this one word, he was bound to turn it into a song, and we get a very good one here. That was a pretty good first half, but once we get to the second half, in my humble opinion, things take a dramatic turn, and not to good results. Songs like "Lil Mama", "Numbers" (either it's just me or guest "Neef Buck" sounds like 2Chainz) and "Money Is My Medicine" (complete with a chopped and screwed hood) sound like Free is trying a little too hard to fit in with today's landscape, as these types of songs you hear ALL the time and it's completely the same ol same ol at this point. The overrated Wale shows up on "True", and this is, what else, a female oriented track, which Wale seems to be at home on these days. "Jungle" is decent, but Free is definitely capable of more. Well, compared to "Philadelphia Freeway", "Free At Last", and "The Stimulus Package", this album is a step down from all three of those albums. I respect Free's independent hustle, but this was a miss in my opinion. The first half was very good, but the second half leaves a lot to be desired. Good, but could've been much better. Rating- About 3 stars, and that's mostly because the second half drags the album down.